It is with incredible pride, a full heart, and a big dose of “pinch me,” that I’ve spent the recent days reflecting on ONeil Interactive’s first ten years in business. The journey has been full of beautiful challenges. It’s included incredible highs, a few gut-punching lows, many, many lessons, and incredible amounts of growth for myself, my family, and the people I’m so fortunate to work alongside. 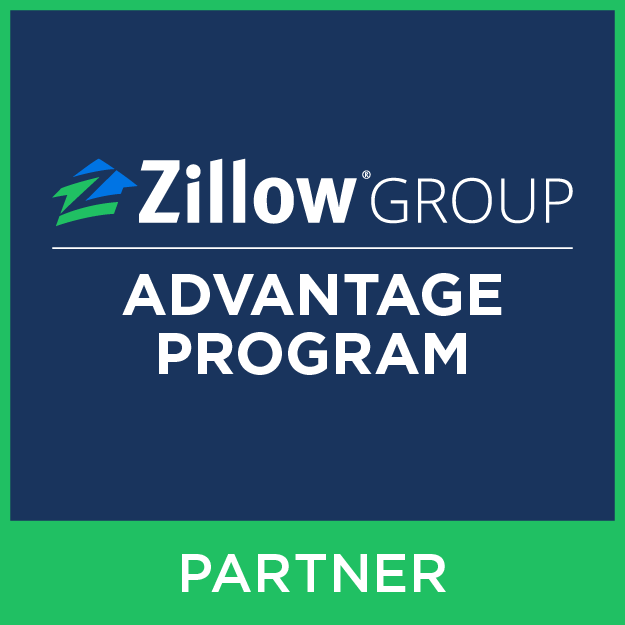 During my time as a sales manager, when I was interviewing new home sales applicants, I used to look for people who appeared to be motivated by a ridiculous challenge — someone who would hear that the odds of success were 1 in 100, and then jump at the opportunity to prove they could make it happen. I think it was partly that same idea of a fresh, somewhat ludicrous, challenge that made me decide to make the change. It was also the skills and confidence awakened by the Ryland training and guidance I benefited from over those many years. I learned so much there. Most of all, I proved to myself that everything is learnable, and the best people to have on your team are those that believe the same; people that know they can learn what they don’t know and invent new solutions to challenges when a textbook answer simply doesn’t exist. These are the people we welcome onto the ONeil Interactive team. I made the move without much of a plan in place (a recurring character flaw), so the early days and weeks were spent defining what exactly I was going to do next, including what the company name was going to be. On May 16, 2008, I registered the domain name oneilinteractive.com. I’m not always certain it’s the best approach, but ONeil Interactive’s growth has always been bootstrapped. We’ve never accepted investments, and only in the last few years did we form the typical banking relationships as revenue and cash flow demanded it. When revenue grows, we grow. We affectionately refer to the early days of ONeil Interactive as “The Basement Years.” Yep, it wasn’t just me working alone in the basement. At “peak basement” level, there were five of us in that room. Everyone got to know my kids pretty well, and we all ate lunch together at my kitchen table. On a few nice days, I’d grill burgers for us all. It was in the basement, too, that our early software solutions were born. As I learned from the smart and talented people I had tricked into working with me 😜, I began to see us solving the same problems over and over, but for different clients. Every website got a little better as we applied what we learned, but we wanted to retroactively apply these improvements, too. This large-scale problem solving goal spawned BuilderWebPress.com, our hosted WordPress solution for builders that today supports over a million requests for small and medium-volume builders every month. Eventually, it was clear we were going to run out of chairs at the dining table and room for cars in the driveway. 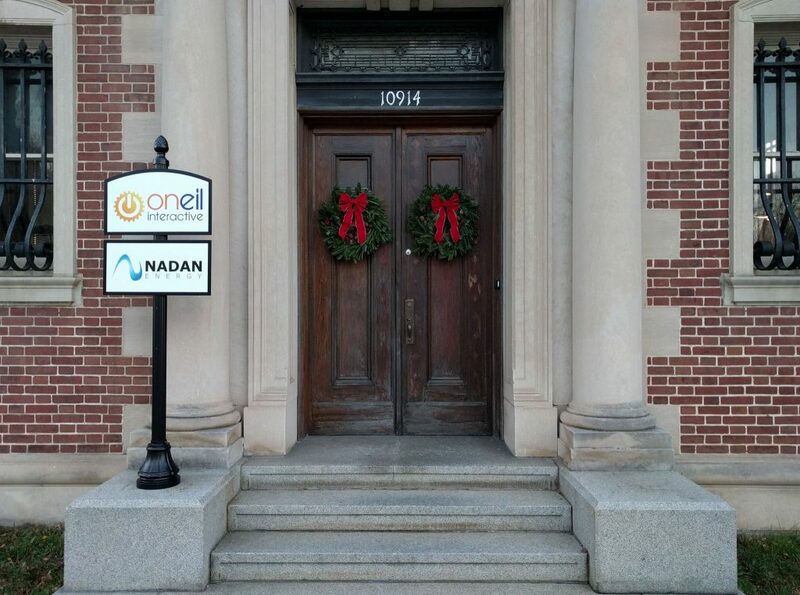 Revenue had grown enough to give us options, so in January of 2013, ONeil Interactive moved to a historic building about 7 miles from my home. Sometimes I missed my commute down the steps, but as those of you that have worked at home can appreciate, it’s often tough to draw boundaries for your time. 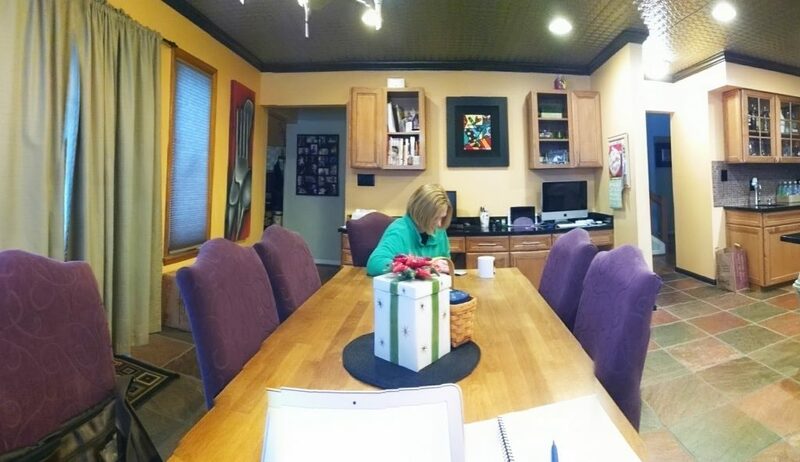 Even now, I regularly find myself drawn to the work I love while I’m at home, but I appreciate the clear delineation of work space and home space. The cold drafts and the scary basement had their challenges, but “The Bank” was a great home for five years. Having a commercial address meant applicants no longer felt reminded of an Investigation Discovery show after I invited them to ‘my basement to meet the rest of the team.’ Yeah, I know how that sounds. Ergo, the office. We made The Bank our home. We polished some literal rough edges, turned the original vault into a conference room and got to work. I’m not giving The Bank all the credit, but our time there was undeniably transformative. Beyond the people count increase, it was at here we prepared for, and began a transition into the ever more perfect machine that we aim to become. This includes snore-worthy administrative items like Macbook identification numbers, a company intranet, phone extensions, voicemail boxes, and employee onboarding checklists. It also includes systematically taking care of team members with insurance stipends, a company matched 401k, and a quarterly bonus plan. And it includes creating processes and workflows that remain flexible, but do not allow the same error to happen twice. Our first year at The Bank marked an increase in our award winning credentials. 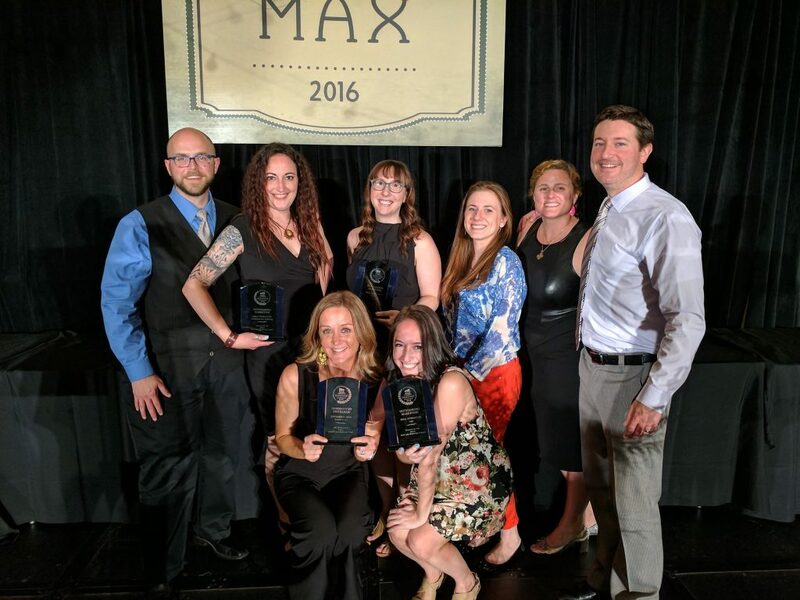 We won our first MAX, the Maryland Building Industry Association’s Marketing Awards of Excellence, in 2011, but we came home with four MAX trophies in 2013, and we’ve won at least three every year since. Starting the company in cash-strapped 2008 prepared us to operate lean. A number of my early conversations with home builders could be summarized with this question, “How little money can I spend on marketing and not go out of business?” I’m happy to say all but a couple of those early clients weathered the storm and made it through to better days. That undeniable requirement of keeping processes streamlined, cost trimmed, and errors low is still how we run today. So long as it doesn’t block us from thinking big, we like it that way. More great software was born at The Bank — Follow, our proprietary retargeting solution, and Homefiniti, our enterprise-level software solution for large volume builders. Homefiniti is high-performance, technically advanced, and packed full of features. The interest in, and adoption of, Homefiniti continues to grow, and the design, development, and project teams are enabling it to do more for clients every day. It was also at The Bank that we grew the team; significantly. Starting with five, we grew to a team of fifteen. Which is also about the time we found ourselves out of parking and over the challenges of radiator heat. It was time for the next move. Four months ago, in February of 2018, we moved into our newest office space — inside a traditional office complex. I’ve been taking a painfully long time to decorate and furnish the new space, but it’s nearing completion and there’s so much to love about the space. We traded away the architectural character of The Bank, but we gained on onsite gym, delicatessen, post office, modern HVAC, huge outdoor patio, a janitorial staff, and a maintenance staff. The huge windows are also a welcome adjustment from the barred windows at The Bank. After a few days in our new space, I realized I over estimated my allergy to drop ceiling tiles. Looking back, it feels like some things just happened in a blink. Even today, we still work with builders of all sizes, but for some perspective — one of our first clients built 2-3 homes per year. Later this summer we’ll be launching a website for a client building over 4,000 homes per year. Disclaimer: Just because a sentiment is cliche, doesn’t mean it’s not true. Undeniably, the most fulfilling professional experience is to witness members of your team experience their own breakthrough moments of growth. It felt hard in those Basement Years to break into the conversations that were happening at the big events like the International Builders Show (IBS), but we kept showing up anyway. 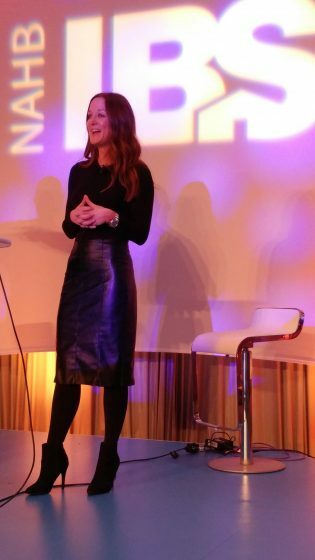 Last year I was incredibly honored to present for the fifth time at IBS 2018, but I am beyond proud when I see our organization has provided Megan English and Adam Van Bavel the tools and the runway to earn to an IBS audience of their own. At IBS 2018, Megan edutained the crowd leading her first education session and earning a nearly perfect speaker rating. Adam showed off his natural on-camera self as the face of NAHB Young Professionals social media content during the show. I know I’ve skipped over so many important events in our first 10 years. If my memory even had the capacity to mention all the people inside and outside the company that have shaped who we are, no one would ever read this blog post. A final anecdote – Along this journey, I’ve gotten a lot of help from the Clark Leadership team of business coaches and advisory groups. During a presentation in their “Speaker Series,” I was listening closely to a gentleman discussing his research into the lifecycle of companies. I wasn’t listening closely enough to remember his name, but I know I was very scared he was going to describe the characteristics of a near-death company and it was going to sound like ONeil Interactive. Irrational? Probably, but I don’t know what I don’t know. What I will forever remember is his characterization of companies in their adolescence, which he named as the most productive and success-defining stage for a company to exist. He described all the stages of the company lifecycle using personality traits, and for adolescence he used words that included: creative, risk-taking, task and detail-oriented, profitability-focused, thoughtful, action-oriented, and diplomatic. It was immediately clear to me that this list of traits could never be used define a single person. A successful company, a productive team, can only be assembled of people with complementary strengths, who value the strengths of the others, and rely on them to do their part and achieve the common goal. This is why ONeil Interactive works. This is why I love our team. One person can’t do it all. A group comprised of one type of person can’t do it all. Borrowing a phrase from a friend… “You can’t buy a ticket to get on this bus.” The team we have was invited onto the ONeil Interactive bus for a reason, and each and every one plays a critical role in moving the bus, and our clients, forward. We are good people, doing great things.